Mobile apps aren’t just for use outside of the classroom – they can have just as much impact when used appropriately inside the classroom environment, especially in terms of student engagement. Student engagement is a key policy imperative and active learning has been found to have positive benefits for student engagement and learning, leading to measurable improvements in attendance, attainment and student and staff motivation (Hamdan et al, 2013). Socrative is a prime example of an app which can be used to boost engagement by testing student knowledge, promoting in class participation and providing timely feedback. It’s based on the notion of an LRS (Learner Response System) but doesn’t require any specialist equipment (i.e. clickers); it works on computers, tablets and phones – either with the native app or via a Web browser – and is free to use. Short tests at the beginning or the end of a session can be a great way of testing student knowledge and understanding. Perhaps you’ve given your students some reading or resources to review beforehand – you could then start the class with a round of questions to check their understanding, for example. Socrative enables you to quickly assess students with pre-prepared quizzes or on-the-fly questions. Questions can be multiple choice, true/false or short answer questions. You can control the pace of the questions or let students work through them individually on their devices. You might choose to intersperse your session with questions in order to spark discussion, gauge opinion or lead into a particular topic. This is an effective method for keeping students engaged and promoting active learning, as well as incorporating signposting techniques into your sessions (Brown & Atkins, 2002). Socrative’s instant feedback from questions allows you to quickly check student understanding and identify areas of weakness. Question responses can be viewed in real-time and these can be displayed on screen to the entire class if necessary. This instant feedback provides information on which elements of a topic students understand or find challenging, so you can adjust your approach and feedback accordingly within the lesson and target key areas of weakness. After the class, you can generate reports for the entire class, individual students or individual questions; this can further help you to manage understanding and plan ahead for subsequent sessions or provide additional resources where necessary. 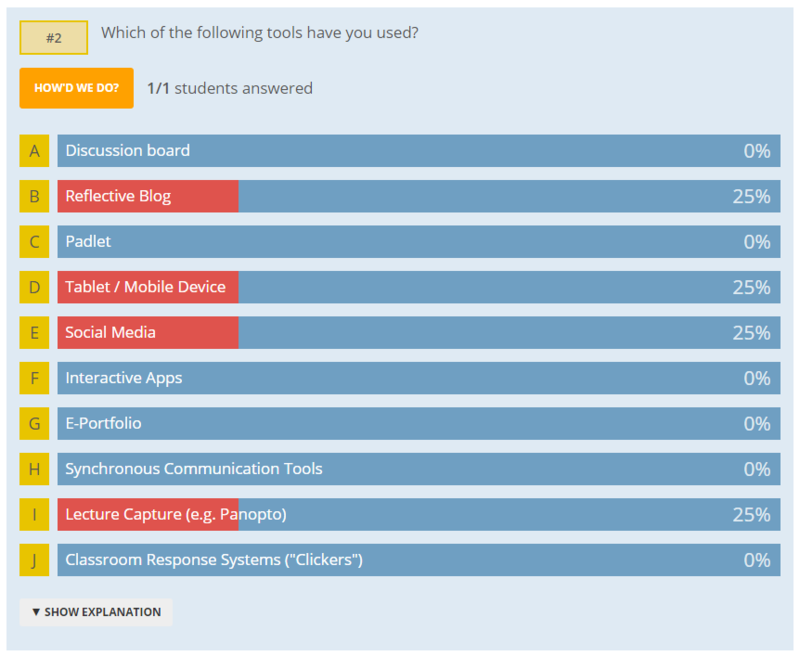 Another use of Socrative could be to obtain questions from students during a lecture or to ask them for their feedback on a session. Questions could be answered in-class or as a follow-up afterwards. To get started, simply go to Socrative and sign-up for a free Teacher account. With the free account, you will be given one “room” through which quizzes can be delivered. The name of this room can be customised; you will need to give the room name to students so that they can access any activities you launch through Socrative. Students can either download the native mobile app or go to https://b.socrative.com and enter your unique room name. Brown, G. and Atkins, M. (2002) Effective teaching in higher education. London: Methuen & Co. Ltd.
Hamdan, N., McKnight, P., McKnight, K. and Arfstrom, K.M. (2013). A Review of Flipped Learning. Flipped Learning Network, Pearson Education, and George Mason University.